The Mediterranean diet has become incredibly popular ever since studies showed it can significantly cut your risk of heart disease, Type 2 diabetes, and possibly Alzheimer’s. It’s a diet that emphasizes the importance of eating fruit, vegetables, oily fish, nuts, and olive oil. Yogurt and cheese are warmly embraced, as is a glass of red wine at the end of the day (though this is optional). There are carbs in this diet, but the sort that your body takes longer to break down and absorb. That means legumes (beans and lentils), not pasta, rice, or potatoes. I think it is a fantastically healthful and tasty way to eat. 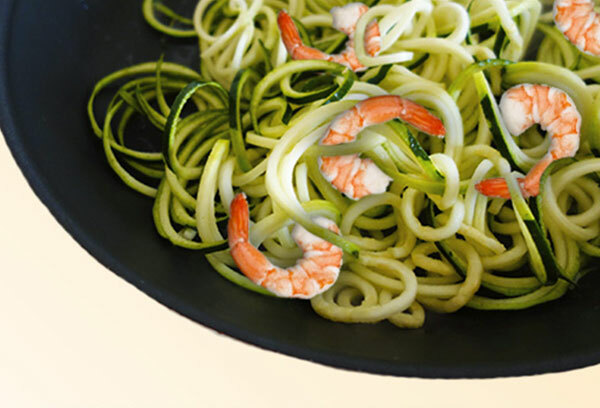 It takes many of the best features of a low-carb diet and makes them more palatable. Indeed, the Mediterranean diet is the crux of the Blood Sugar Diet. Below are three recipes, one for breakfast, lunch, and dinner, to show how much 800 calories really is. It’s more than you might think but less than you’re used to. The key to this diet is that every single mouthful packs a punch. And it scores high on what dieticians call the satiety factor—the feeling of fullness after eating that suppresses the urge to eat between meals. You should feel satisfied by smaller portions and won’t stay forever hungry and preoccupied by food. As you watch the weight fall off you will get a lot of positive reinforcement to keep you going. Below are some sample recipes from my book to demonstrate how filling 800 calories really can be! Try these recipes, and see how satisfying the meals can be! Preheat the broiler. Place the mushrooms on a baking sheet, drizzle with the oil, and season with a pinch of salt and plenty of pepper. Broil for 3 minutes. 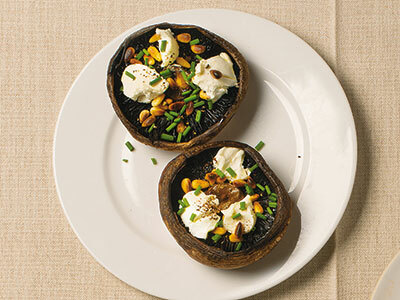 Remove the mushrooms from the broiler, top with the cheese, and sprinkle with the pine nuts. Return to the broiler for 2 minutes more. Remove from the broiler and sprinkle on the chives. Place the mushrooms and cilantro in a food processor and process until the mixture resembles bread crumbs. Add the beans and egg and blend together to form a chunky mixture. Stir in the rest of the ingredients. Dust your hands with flour and shape the mixture into 4 burger patties. 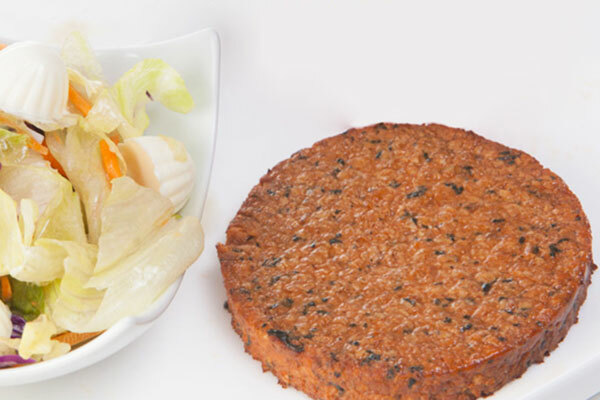 Heat a drizzle of oil in a large pan and fry the burgers over medium heat until brown and hot all the way through. Serve with handfuls of salad greens and thick slices of the tomato. Steam the leeks for 4 to 5 minutes, until tender, adding the zucchini for the final 2 minutes. Set aside. Using a food processor or a mortar and pestle, make a paste with the ginger, chile, garlic, and lemon juice. Heat the oil in a pan over medium heat, add the paste, and sauté for a couple of minutes. Add the shrimp and beans and cook for 10 minutes, until the shrimp are pink and cooked through. Add the leeks and zucchini to the pan and toss. Season with salt and pepper and then top with the cilantro before serving. 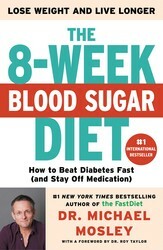 A groundbreaking guide to defeating diabetes without drugs—including a step-by-step diet plan, recipes, and the science behind why the program works—from #1 New York Times bestseller Dr. Michael Mosley. Mosley presents a groundbreaking, science-based, 8-week plan for diabetics who want to reverse their condition (and then stay off medication). He also offers a more flexible regime for people interested in the extensive health benefits to be gained from lowering their blood sugar levels and shedding dangerous fat.